Shigeki Goto was instrumental in the expansion of the Asia-Pacific Internet, and promoted multilingual domain name (IDN) standards and management organizations. As a visiting scholar at Stanford University in 1984, Dr. Goto was researching Artificial Intelligence under the leadership of Professor John McCarthy, who coined the term, when he first became aware of the ARPANET and its potential. When he returned to Japan with this knowledge in 1985, he became a key member of the Japan University network (JUNET), established by Tokyo University, Tokyo Institute of Technology and Keio University. JUNET, which played an important role in the development of the Internet in Japan, was later incorporated as the Japan Network Information Center (JPNIC), Japan’s National Internet Registry (NIR), of which Dr. Goto now serves as president. JPNIC led to the formation of the Asia Pacific Network Information Center (APNIC), the nonprofit Regional Internet address Registry (RIR) for the Asia Pacific region. Dr. Goto was one of its startup members in 1995. When the concept of multilingual domain names was proposed, JPNIC made an evaluation toolkit (mDNkit) and distributed it to DNS operators and application engineers in 2000. Dr. Goto was elected as chairman of the Multilingual Internet Names Consortium (MINC) in 2001. Later, ‘multilingual domain name’ (mDN) was changed to ‘internationalized domain name’ (IDN) and standardized in 2003 in RFCs 3490, 3491 and 3494. Dr. Goto was a trustee of the Internet Society from 1994 to 1997. In April 1996, he became a professor at the Department of Computer Science and Engineering, Waseda University, Japan. He was a founding member of Asia Pacific Advanced Network (APAN) in 1997 and served as chairman from 2004 to 2007. 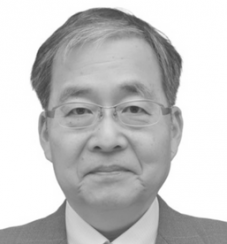 He also chairs the Cybersecurity Research & Development Strategy Committee of Japan’s National Information Security Center. He earned his B.S. and M.S. in Mathematics, and his Ph.D in Information Engineering, from the University of Tokyo.